The Employability Team at East Belfast Mission delivers two programmes: the Belfast Works LEMIS+ Project and the Community and Family Support Programme. Both are funded through the Northern Ireland European Social Fund Programme 2014 – 2020 and the Department for the Economy. The Lemis+ Programme also receives funding from Belfast City Council and Urban Villages. Employability Mentors provide one-to-one support to clients in East Belfast Mission and in Outreach Centres across East Belfast. Mentors have years of experience in providing advice and guidance on education, training and careers, and work alongside clients to offer the support they need to progress into employment. Call in, or contact us on 028 9048 8560 for more information or to arrange an appointment with a Lemis+ Mentor. or click on the link below to see the range of courses provided. From time to time, we offer training academies to LEMIS+ clients where a clear route to employment can be achieved on successful completion. These have included Hospitality, Construction, Customer Care and Health and Social Care. 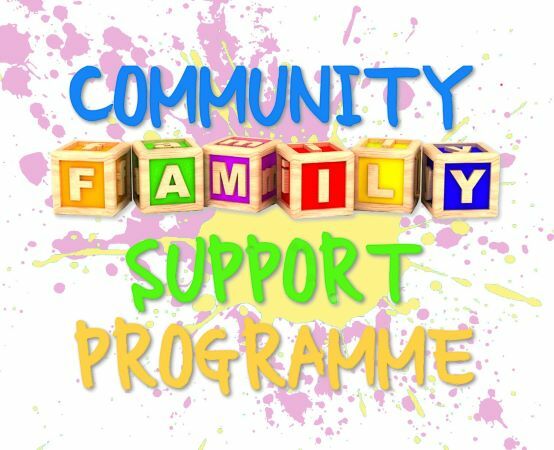 The Community Family Support Programme is a Belfast City wide partnership led by the Upper Springfield Development Trust. Family Support Workers at EBM deliver the programme in East Belfast. We also facilitate family fun days, coffee mornings and drop ins. For more information please call 028 9045 8560 and ask for Lee-Ann or Lisa. Either you or a member of your family should be over 16 years old and not be in employment, education or training. Lemis+ Mentors and CFSP staff are available to help clients with all aspects of job searching. for further information or to make an appointment. Preparing a CV can seem daunting and maybe you think you have nothing to write about. Employability Mentors at EBM are experienced in helping you to present your work experience, skills, and education in a way which will impress potential employers and probably surprise yourself! Personal Statement: start your CV with a short paragraph to introduce yourself. The following questions are helpful in deciding what this should say - Who are you? What do you have to offer? What are you aiming for in your career? Avoid clichés and be specific in your examples. Key Skills: this is your opportunity to sell yourself! Perhaps you have been in paid employment or have spent the past number of years as a carer in your home. Whatever you have been doing, you will have developed skills of time management, attention to detail, and good communication. You may be a reliable person who is trustworthy and able to work without supervision. Employability Mentors will help you to review your work experience and highlight the skills you have developed, whatever role you have been in. Employment history: start with your most recent job and work backwards. Be sure to include any voluntary work. Education: if relevant, start with your most recent qualifications and work backwards to GCSE or equivalent. You can also include any training courses you have completed such as heath and safety training, basic food hygiene etc. References: ideally, you should put down your most recent employer as a referee. You can also include a character referee from someone in a respected role who has known you for at least two years. Your Employability Mentor will help you to identify suitable referees. Always ask permission before putting someone's name and contact details on your CV. If you get an interview you can assume that your potential employers already like what they have seen. The interview is an opportunity for you to build on that impression to secure the job. It’s not just what you say but how you say it that reinforces the message you are giving and creates an overall impression of your suitability. Arrive on time! Ideally at least ten minutes early will give you time to relax and collect your thoughts. If you are unexpectedly delayed, contact your prospective employer as soon as possible to explain the situation. Know who, where and when you are to meet! When you arrive you will meet a receptionist or someone appointed to receive you. State, in a clear and friendly manner, your name, the time of your appointment and the name of the person you expect to meet. Read carefully through your letter inviting to you for interview. Have all the relevant documentation ready to present if needed: your interview invitation and a copy of your CV and cover letter or application form, any ID or other documents you have been asked to bring. Switch your mobile phone off before you enter the interview room. Try to stay as relaxed as possible. Prepare techniques in advance that will help to offset any nervousness. This might be simply repeating a silent mantra such as 'relax' or whatever works for you and also taking a deep breath before you start to answer a question.